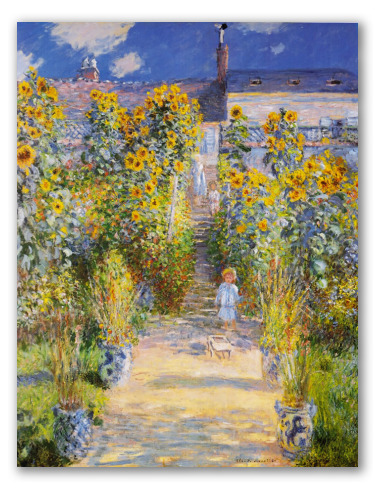 "Vetheuil Garden" by Monet, A Painting Displayed at Metropolitan Museum. Garden at Vetheuil, painted by the artist in 1881. 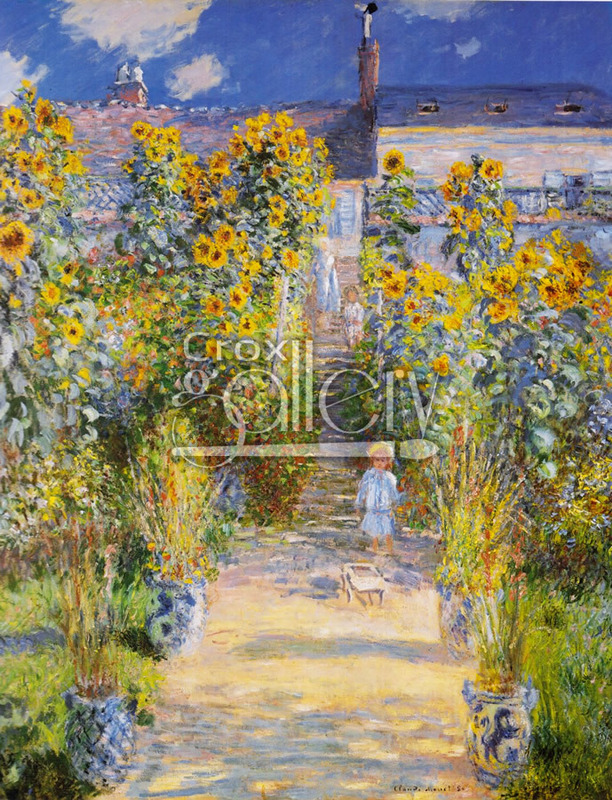 This work, which features three children, displays a wide variety of spring colors in the sunlight. The original painting can be found on exhibit at the National Gallery in Washington. The vivid colors make it ideal for decoration on dark colored walls.